TemperPack Perishables. Shipping Perishable Food Sustainably. Let's rethink the way you ship perishables and delight your customers with an end-to-end sustainable cold chain in the process. Whether you're shipping frozen steaks in middle of summer, or simply need an economical and recyclable parcel for same day unattended grocery delivery - we've got your perishable shipping needs covered. Since 2015, we've helped companies large and small - from start-ups to industry giants - develop and commercialize dozens of unique packaging solutions. Every supply chain is different. Off-the-shelf solutions simply don't make the cut in a highly optimized operation. We understand the work that goes into packaging design, and why product features need be elastic enough to align with set budgets. We’ll work with you to take the headache out of these decisions and build you a solution that works best for your brand and operation. 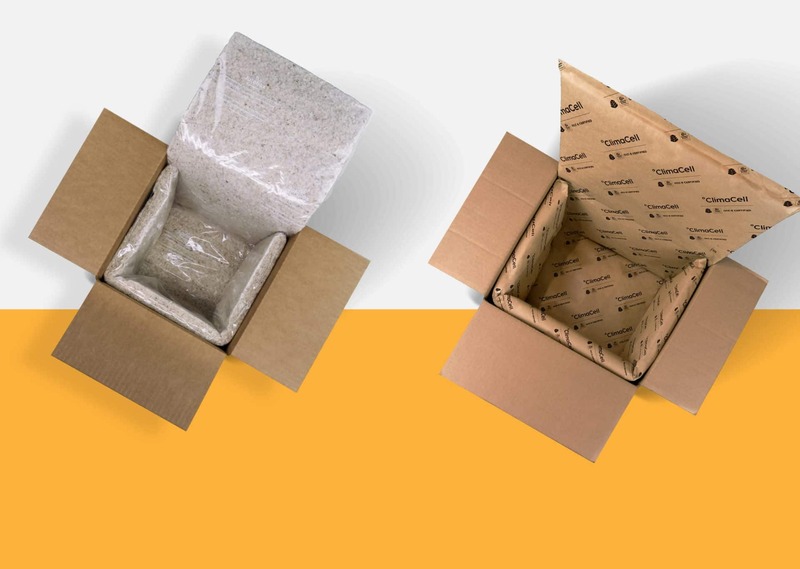 We know not every feature needs to be in every design, that’s why we’ll work with you to develop a shipping solution that meets the requirements you need at a budget that fits your bottom line. 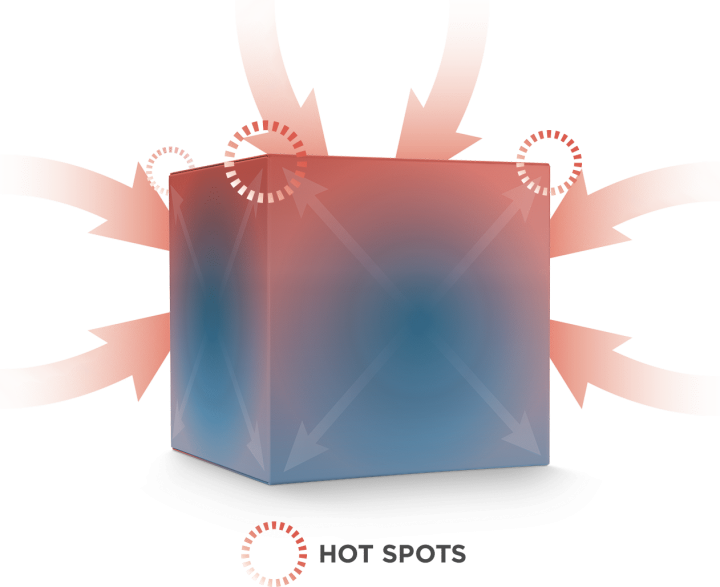 TemperPack is the leader in sustainable thermal packaging. As such, we always look to implement sustainablility into our product designs wherever possible. We think you shouldn’t have to sacrifice performance in order to be eco-friendly. Fourier's laws are universal. Our job is to design around them to create a product that meets your expectations. With a team of material scientists on staff, and over one million hours of logged data, we understand that the corners and edges of your package will behave differently than the faces, and that conduction occurs most prominently through the bottom of your package. We've studied the effects of moisture and condensation on bio-based coatings and paper board - oh and we know how long it takes for a filet mignon to thaw as it gets to your customer. We design everything we make in our in-house R&D department and produce it at mass scale in our factories. Below are two of our best performing designs. We’ve designed hundreds of insulated packaging solutions for our clients to suit their very specific needs. Whether you’re shipping meat, mealkits, or desserts, we can help you with your shipping needs. Working with a major e-tailer to develop a fully curbside recyclable liner for 1-day transit times. During the winter months a lot of brands default to bubblewrap because it’s cheaper and insulates well enough for mild temperatures. But bubblewrap is neither compostable nor recyclable meaning hundreds of thousands of these liners end up in the landfill every year. We worked with a major e-tailer to develop a 100% curbside recyclable liner that’s paper-based and out-performs bubblewrap in a 36-hour test. During the winter months a lot of brands default to bubblewrap because it's cheaper and insulates well enough for mild temperatures. But bubblewrap is neither compostable nor recyclable meaning hundreds of thousands of these liners end up in the landfill every year. We worked with a major e-tailer to develop a 100% curbside recyclable liner that's paper-based and out-performs bubblewrap in a 36-hour test.